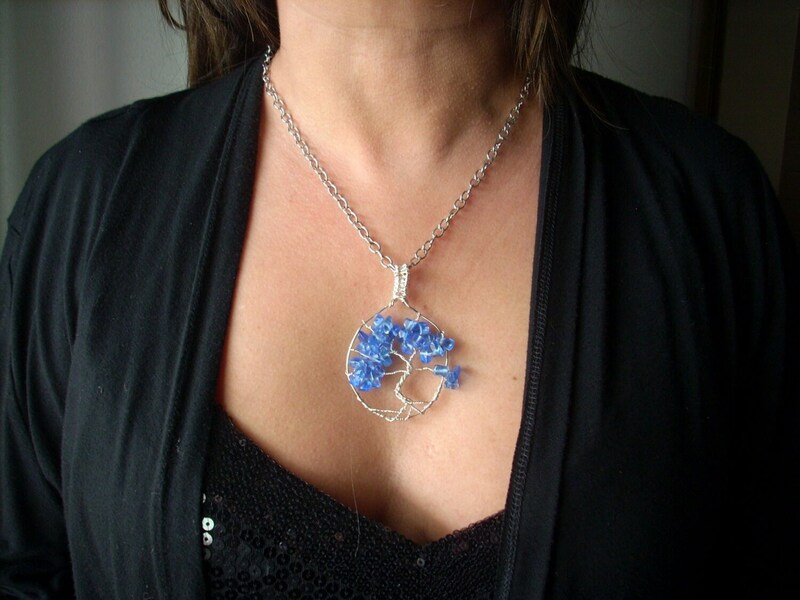 BLUE SKY'S - "Tree-of-Life" Pendant Necklace Hand Crafted Sliver Wire & Sapphire Blue Gemstone Chips! 2" W x 2 1/2" L including the bail. Pendant Only or with Matching Chain 18" to 24" with Lobster claw. Slight variations of colors and patterns are possible. I Ship USPS and if you're a Florida resident I have to charge 6% sales tax. 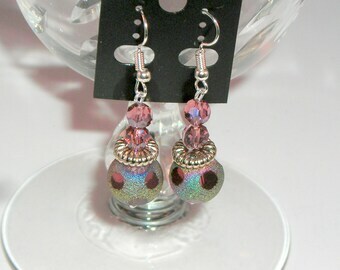 If you want to forgo the shipping and pick up your jewelry let me know. Mountains, Forest, and then Trendy Fashion. What kind of jewelry do I Like to work with? Wire Wrapping, because each piece is unique. Do you have any jewelry dislikes? I stay away from look alike jewelry and jewelry machine made. I prefer the more sophisticated look of combining unique pieces to create a one of a kind style. Wire Wrapped Pendant//Zebra jasper bead Pendant// wrapped with Gold Craft Wire//Rectangle bead 30x40mm or 1" x 1 1/2"
PRETTY - Iridescent Ring Wire Wrapped in Gold, Silver or Copper Craft Wire.